Dr. Paul Ayris has been Director of UCL Library Services since 1997. He is also the UCL Copyright Officer. Dr Ayris was the President of LIBER (Association of European Research Libraries) 2010-14; he is now Advisor to the LIBER Board on EU matters. He is Co-Chair of the LERU (League of European Research Universities) Community of Chief Information Officers. 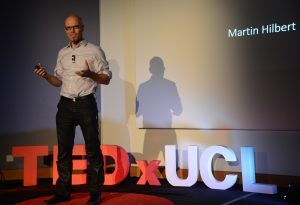 Dr. Martin Hilbert pursues a multidisciplinary approach to understanding the role of information and knowledge in the development of complex social systems. Before joining UC Davis, he created and coordinated the Information Society Programme of United Nations Regional Commission for Latin America and the Caribbean. In his 15 years as United Nations Economic Affairs Officer he performed hands-on technical assistance in the field of digital development to presidents, government experts, legislators, diplomats, NGOs, and companies in more than 20 countries. He has written several books about digital technology for international development and published in recognized academic journals. Dr. Hilbert hold doctorates in Communication, and in Economics and Social Sciences and a faculty position at the University of California Department of Communication in Davis. Dr. Claudio Gutiérrez is a permanent professor in the Computer Science Department at Universidad de Chile. His main research interests are linked data, open data y data semantics on the Web. He has authored over one hundred articles on these topics and has been the editor of several books. Also, Dr. Gutiérrez is currently a member of the editorial board of the Journal Web Semantics. He has received diverse international awards, including two “Test of Time Award”, given to outstanding papers still relevant after a decade, in the area of Semantic Web and Database Theory. Dr. Gutierrez has worked in several open data projects for the government of Chile, including a technical norm for electronic records, the technological implementation of transparency and the Chilean data portal. Margarita Ontiveros holds a Master in Educational Communication and Technology from the Instituto Latinoamericano de la Comunicación Educativa (ILCE). Alberto Apollaro was a member of the SciELO team between 2004 and 2010 at the Centro Argentino de Información Científica y Tecnológica (CAICYT-CONICET). 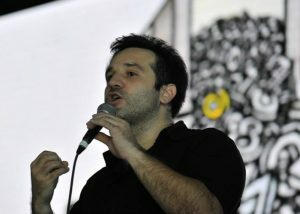 Since 2010, he has been responsible for the Portal de Publicaciones Científico Técnicas (PPCT) of the same institution. Since 2012 he also works in the electronic library of science and technology of the Ministerio de Ciencia, Tecnología e Innovación Productiva and the national system of digital repositories (SNRD). He has been responsible for the development of the public website of the library, the administration interface and the management of resources, and provides assistance to the technical staff of the repositories integrated into the SNRD. Fabio Kon is a Full Professor of Computer Science at the University of São Paulo, Brazil. In 2000, he received a PhD degree in Computer Science from the University of Illinois at Urbana-Champaign in the area of Distributed Software Systems. His research interests include Smart Cities, Big Data Processing, Distributed Systems, and Agile Software Development. Fabio has been in the Scientific Program Committees of over a dozen international conferences in the past two decades and is currently the Editor-in-Chief of the Springer Open Journal of Internet Services and Applications. He is the former Director of the Open Source Initiative (OSI) and of the USP Free and Open Source Competence Center. Currently, Fabio is a Special Advisor to the Scientific Director at FAPESP, the São Paulo Research Agency, where he is responsible for the Research for Innovation programs. Patricia Muñoz holds a Master in Digital Documentation from the Universidad Pompeu Fabra, Spain. She has developed projects in the areas of accessibility, visibility, results and impact of scientific activities. Since 2008, Patricia is the Director of the Scientific Information programme at CONICYT, Chile. She has also been in charge of the creation, development and implementation of scientific information services at the national level, such as www.portaldelinvestigador.cl ; www.dataciencia.cl, and the digital repository of CONICYT. Patricia Muñoz has also worked on the design of policies for the access to scientific data and information. As part of her work in the Scientific Information programme, she chairs SciELO-CHILE, ISSN-CHILE, LATINDEX CHILE and a support fund for scientific publications. In September 2016 she was elected as President of LA Referencia (Red Federada de Repositorios Institucionales de Publicaciones Científicas) for a two-year period. Dr Mezones is a surgeon, holds a Master in Sciences and completed the Latin American Master in Clinical Epidemiology at the CIGES Excellence- Centre of the Universidad de la Frontera, Chile. He has been involved in research in scientific institutions, published in scientific journals and has acted as a reviewer for international scientific journals indexed in Medline, SCOPUS and the Institute for Scientific Information (ISI). 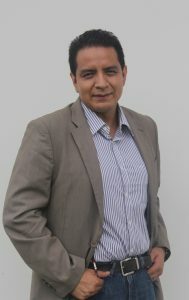 Mezones has also been editor of the Revista Peruana de Medicina Experimental y Salud Pública, and researcher of the Unidad de Análisis y Generación de Evidencia en Salud Pública (UNAGESP) at the Instituto Nacional de Salud de Perú (INS). Currently, he is the Director of Social and Economic Studies Management at the Intendencia de Investigación y Desarrollo of the Superintendencia Nacional de Salud (SUSALUD) and professor of the medical school at the Universidad Peruana de Ciencias Aplicadas (UPC). He is also a member of the scientific research committee of the Consejo Nacional del Colegio Médico del Perú. Lourdes Epstein has a degree in Philosophy from the Universidad Panamericana; a Master in Political Analysis and Information Media from the Escuela de Graduados en Administración Pública, and a PhD in Humanistic Studies, specializing in Science and Culture. At the Tecnológico de Monterrey, Ciudad de Mexico campus, she chaired the Humanities and Social Sciences Programme; was the national coordinator of the Academia de Humanidades y Ciencias Sociales; professor of History of Civilizations and Philosophy, and the Library Director since 2009. Fernando López holds a degree in Library and Information Science from the Universidad de Buenos Aires, specializing in Information Technologies, and is currently pursuing a Master in Library and Digital Information Services at the Universidad Carlos III de Madrid, Spain. 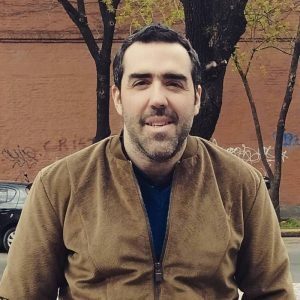 He is a member of the Information Lab and Coordinator of Communications and Training of CAICYT – CONICET, Library Director at the Universidad Metropolitana para la Educación y el Trabajo (UMET, Argentina) and Director of APRENDER 3C. López is a member of the expert committee of the Sistema Nacional de Repositorios Digitales en Ciencia y Tecnología (MINCYT, Argentina) and an Open Access researcher at the Instituto de Investigaciones Gino Germani of the Universidad de Buenos Aires. From 2008 to 2013 he coordinated and was responsible for the development of the platform of CLACSO’s virtual libraries network. Since 2011 he participates in Open Government, open innovation and civic hacktivism projects, exploring openness, normalization, dissemination, use and reuse of open data. Miguel Ángel Márdero holds a degree in Social Anthorpology from the Escuela Nacional de Antropología ENAH, and a Master and PhD in Information Sciences from the Universidade de Brasilia. He works at the Instituto Brasileiro de Informação em Ciência e Tecnologia (IBICT), where he coordinates the digital preservation network Rede Brasileira de Serviços de Preservaçao Digital CARINIANA. 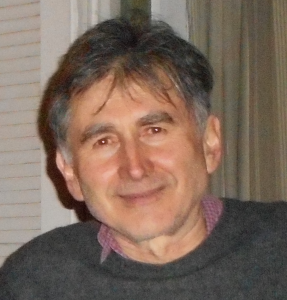 Miguel Ángel is the Brazilian editor of the international repository of information sciences E-LIS. His research fields are data curation and preservation and audit of trusted digital repositories. Nicolás Fuertes is an economist of the Universidad de los Andes, pursuing a Master in Economics at the same university. He currently works as the Manager of the Data Center of the Facultad de Economía of the Universidad de los Andes, Colombia. He also worked as a research assistant in the team of the Encuesta Longitudinal Colombiana (ELCA) of the same university, and as an instructor at the Facultad de Economía.